Women across the globe have made landmark achievements over the past decade, many of which are in the economic space. 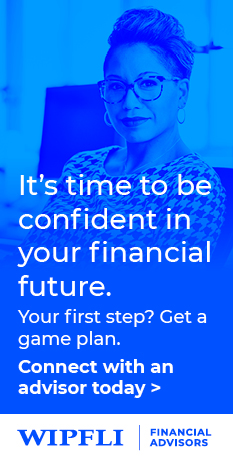 According to the BMO Wealth Institute, women currently control $14 trillion — more than 51% — of America’s personal wealth and are projected to control almost $22 trillion by 2020.1“Women in Wealth: A Financial Golden Age Has Arrived,” BMO Wealth Institute, March 2015, http://www.bmo.com/pdf/ewp/womeninwealth/15-375-BWI_Q1_2015-women-in-wealth-CDN-E05web.pdf, accessed March 8, 2016. There’s no doubt that women are growing financially and climbing the ladder at rapid speed — but the confidence gap is still there. A 2014 Prudential survey found that only 20% of women feel secure in their ability to make smart financial decisions.2“Financial Experience & Behaviors Among Women,” 2014-2015 Prudential Research Study, Prudential Financial, http://www.prudential.com/media/managed/wm/media/Pru_Women_Study_2014.pdf?src=Newsroom&pg=WomenStudy2014, accessed March 8, 2016. This trend is problematic, due to the fact that women typically face more complex financial challenges than their male counterparts. For one, women often take more time off to serve as caregivers for children and other family members, which can result in lower lifetime income and less savings over the long term.3“Women and Caregiving: Facts and Figures,” Family Caregiver Alliance, December 2003, https://www.caregiver.org/women-and-caregiving-facts-and-figures, accessed March 8, 2016. Plus, women tend to live longer than men, meaning they will likely assume the role of “chief financial decision-maker” at some point in their lives.4“Mortality in the United States, 2012,” National Center for Health Statistics (NCHS) – U.S. Department of Health and Human Services, October 2014, http://www.cdc.gov/nchs/data/databriefs/db168.pdf, accessed March 8, 2015. “One way we can all work toward gender parity is to demand equal pay for equal work. Do you know what the going wage rate is for your field? If not, it pays to do some research! Want to learn more? Visit our Pinterest page, which is designed specifically for women investors.